Life often gets in the way of craft. For the longest time, it seems, my craft took a backseat to life. It’s been a great ride since we last spoke. Since we last connected, I’ve enjoyed some amazing experiences – traveled the world, enjoyed the growth of my two kids, and tried out some really cool new technologies. Moving forward, I look forward to sharing more of my experiences with you here on HDHubby.com. As we head into another holiday season, I hope to share some gift ideas that will have an impact on your loved ones. In the past, I’ve played the latest video games, blasted out some tunes with the kids, and even tested out some kid-proof action cameras.This season, I want to get my hands on some tech that elevates and enhances your life. I’m eager to get back into the saddle and show you how to live a high definition live on a standard definition budget. Looking forward to sharing these stories with you soon! It’s not every day you get a personal note from one of the PR industry’s most recognizable names. A few weeks back, while working on a project, my phone buzzed with a new message. It was from Peter Shankman. “The lounge at Newark seems like a great place to say hi…” his e-mail started. He went on to say he wasn’t trying to sell me anything (he has plenty of business), but that he was interested in having some bloggers review his latest book, “Zombie Loyalists: Using Great Service to Create Rabid Fans“. Naturally, I took the bait and e-mailed him back…because, you know, it’s Peter Shankman, and he took the time to write, so of course I couldn’t leave him hanging. Well, within minutes, we had an e-mail chain 5 links deep and an open discussion about our airline preferences, coupled with a promise to try crossing paths when our schedules both sync up in New York for coffee. Whether that ever happens, only time will tell, but I was honored that he followed through on my inquiry to check out his book. 10 days later, FedEx knocked on my door, delivering an advanced copy of his latest work. Ain’t networking grand? This book, on the surface, isn’t something I’d have considered reading without being introduced to it by the author himself. For one, I think zombies are kind of lame. But I’ve been a follower of Peter’s professional postulations for years, so I was going to give him the benefit of the doubt. Zombie Loyalists starts by setting the stage on how he was going to correlate zombies with marketing and publicity, and how he was going to tie in his own business experiences, sprinkled with feedback from industry leaders from all walks of life…if you can make that connection and see beyond the flesh feasting references, Shankman’s pitch of tying zombies with consumer loyalism could make a lot of sense. With my 4 year old daughter sitting on the couch next to me, playing with her dolls, I tore into into Zombie Loyalists with the same vigorous anticipation a newly embalmed zombie lusts over a millennial’s mandible. 10 pages in, I was hooked. My kids had to literally pull the book out of my hands so I could put them to bed; once they were asleep, I turned into a book reading zombie myself until about 11:30pm, when my wife came home from work and had to pull the book out of my hands. 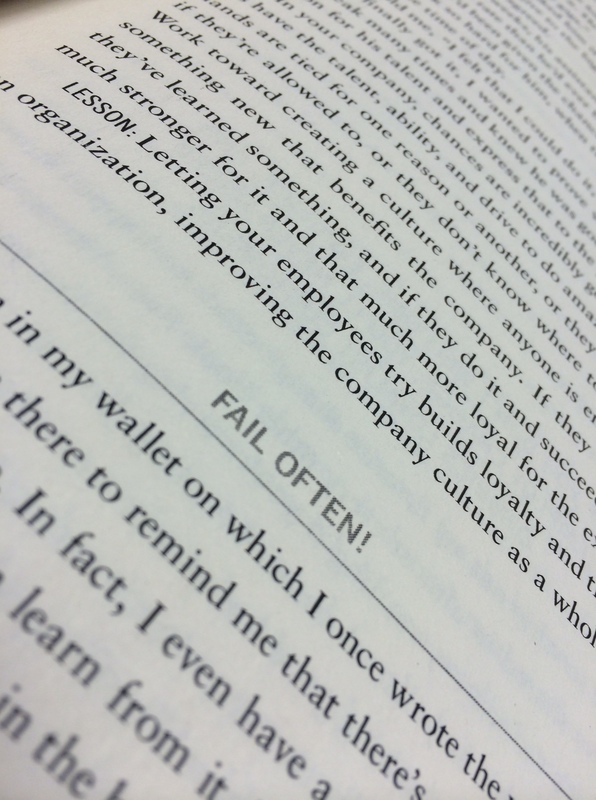 I was just over 100 pages in, and my eyes had been opened to the zombie-like mentality of product hungry customers. Shankman’s writing style is high intensity, to say the least. He writes like he talks, and if you’ve ever listened to his podcasts (highly recommended), or have seen him on video (I recommend his TEDx Talk) it’s an easy transition on the eyes. I found myself pouring over the pages, absorbing his stories of his own personal service moments – like the time in his youth when he worked at a yogurt shop and tried to polish the exterior of the building, only to be told to get back behind the counter because that wasn’t what he was being paid to do. At a young age, Shankman understood the importance of an exceptional customer experience, and in his professional life, he lives, breathes, and has enlightened companies like AmEx, Walt Disney World and Snapple with this mentality. Here’s the verdict – Zombie Loyalists will disappoint people looking for a science fiction horror story about blood lusting zombies. The folks who won’t be disappointed with this book are just about everyone else. If you work in customer service, management, publicity, business, or marketing – you need to read this book. Even if you don’t, this book will serve as a reminder of what customers – like you and me – deserve from the businesses we patron. Peter Shankman is an admitted Zombie Loyalist. His passion for the companies he’s faithful to is enough to make all of us reconsider our own zombie affinities. That said, if you’re looking for a book to rekindle your faith in mortal customer service, check out Zombie Loyalist: Using Great Service to Create Rabid Fans, (Palgrave Macmillan, US $27.00) due out in late January, 2015. Editor’s Note – HDHubby.com was supplied an advance copy of Zombie Loyalist: Using Great Service to Create Rabid Fans by Palgrave Macmillian for review. No additional compensation was offered or accepted. 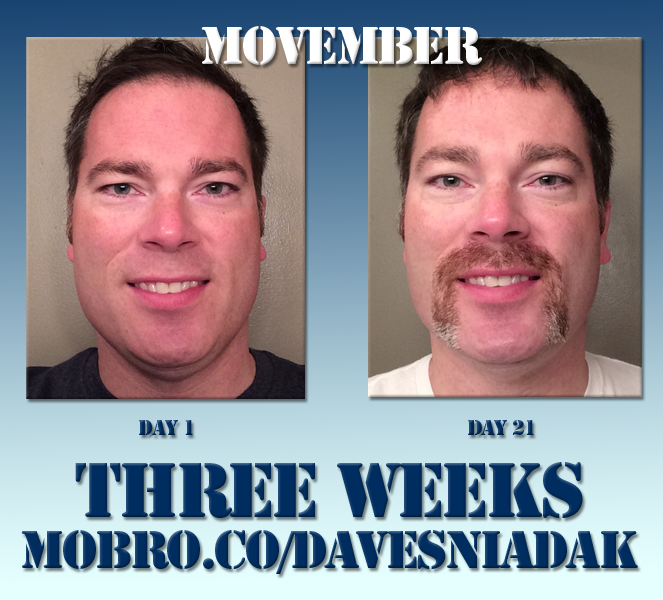 Movember: What Can Be Accomplished in Nine Days? Back in 2012, A Chinese construction firm – Broad Sustainable Building – set out to build a three-story office building in 24 hours. Despite some significant weather delays, delivery issues, and other logistical setbacks, the crew finished the job in just nine days. 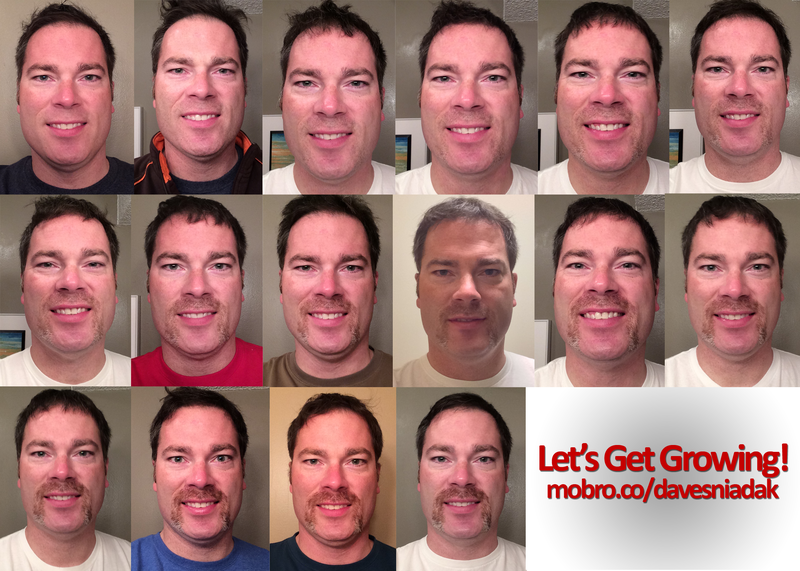 Now, I’m not setting out to raise a building; rather, I have nine days left to raise some funds in support of Movember, a global initiative aimed at raising awareness for male health. With your help, I can hit my fundraising goal of $500. I’m nearly halfway there. Please consider donating what you can. Click here to head to my MoBro site. Thanks! Anyone who knows me knows that I’m “Mr. Adventure”. My days involve leaping tall buildings (made of Legos), lifting (Matchbox) cars off (stuffed) kittens, and doing battle against my sworn enemy…the dishes! Okay, so I may not be the ideal man to test out Polaroid’s new CUBE HD Action Camera, but I have two partners in fun that are. When Polaroid asked me to do a review of this new action camera, I jumped at the chance. That said, when I got home from work to discover the camera had actually arrived, I found my kids had already mastered the camera and were teaching ME how to operate it. My biggest question before taking on the Cube Challenge was to determine if this camera could replace my GoPro. Many have tried, many more have failed, taking on the Godfather of Action Cameras. But if what my kids thought, as well as this 14-year video professional, is any indication, I’d say Polaroid took a good gamble and delivered an excellent entry level action camera. For around $100 USD, you can get your hands on one of these and trust that it will capture great memories without breaking the bank. If you’re goal is to get your kids something cool to stuff their stockings this holiday season, I give the Polaroid Cube a High Def Hubby High Five! 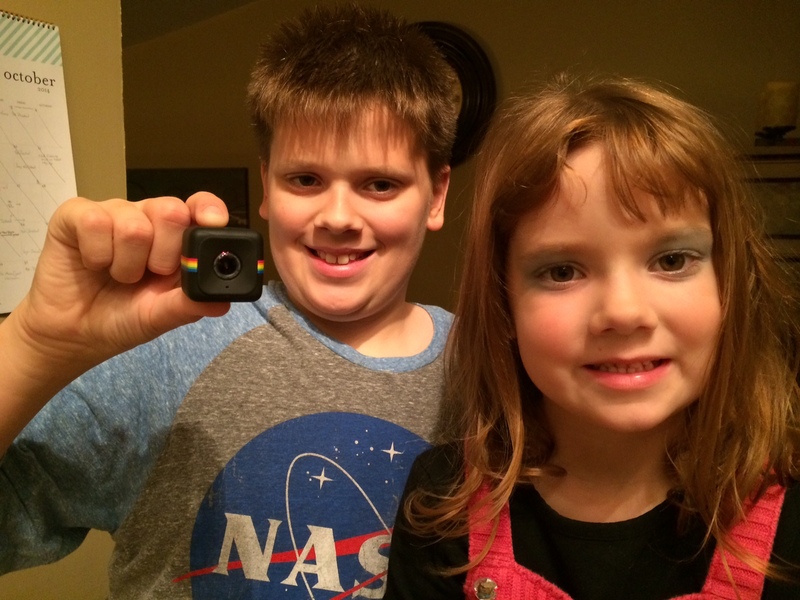 Editor’s Note: Polaroid provided a Cube HD Action Camera for us to test. We received no additional compensation for this review. What a difference a year can make. Two years ago, I was rocking a trucker ‘stache and fully immersed in what I felt was a noble fundraising cause (Read my story from two years back here). Twelve months later, I had sworn off the Movember movement as “too trendy”. I questioned the reasons why my fundraising dollars were going towards a deluge of digital ad spends and billboards promoting Movember. The emotional reaction quickly gave way to the marketing part of my brain, and I understood that in order to raise funds for a cause, sometimes you must spend funds to raise awareness. Mustaches can spark conversation, but if no one knows about the organization, the facial hairs fall on deaf lips. I had fully prepared myself to abstain from my Movember motivations for a second year; that was until I read that Movember added men’s mental health to the list of resources they would be allocating funds towards. This struck a chord with me, as my family experienced the loss of a family member who was a major Movember mover and shaker. I will be the first to admit that I’m reluctant to ask for help in just about every part of my life. Driving directions? No, I’m navigationally enlightened. DIY home projects? I just don’t do them. My health? I could definitely be a bit more forthcoming when it comes to my body. Reflecting on one of the greatest “Mo Bro’s” I’ve ever met, taken way too soon. When my wife’s cousin, Sean, lost his own internal battle less than a year ago, it caused pause in every area of our worlds. If Sean – the epitome of masculinity and selflessness – can get knocked down, it can just as easily happen to me. So, that’s why, after a 12 month hiatus, I’m back, all in. My mustache has become a platform from which I can engage in life-changing discussions. I’ll use these facial hairs as fodder to fuel my motivation to help change the face of men’s health. But we can’t do this alone. If you’ve read this far, I hope you’ll consider clicking and donating a few dollars to my Movember Mission. My fellow man shouldn’t have to feel alone when it comes to starting the conversation with his doctor, his family and friends. By supporting Movember, you’re helping to connect men with the resources they need to educate themselves on the warning signs of prostate cancer, testicular cancer, and mental health issues. Call my mustache ugly, call it hideous, call it whatever you want. If my upper lip can spark a chain reaction of conversation that leads to discovery and positive change, it’s worth every glance, glare, second look, and snide remark. Thanks for your support; Let’s get growing! 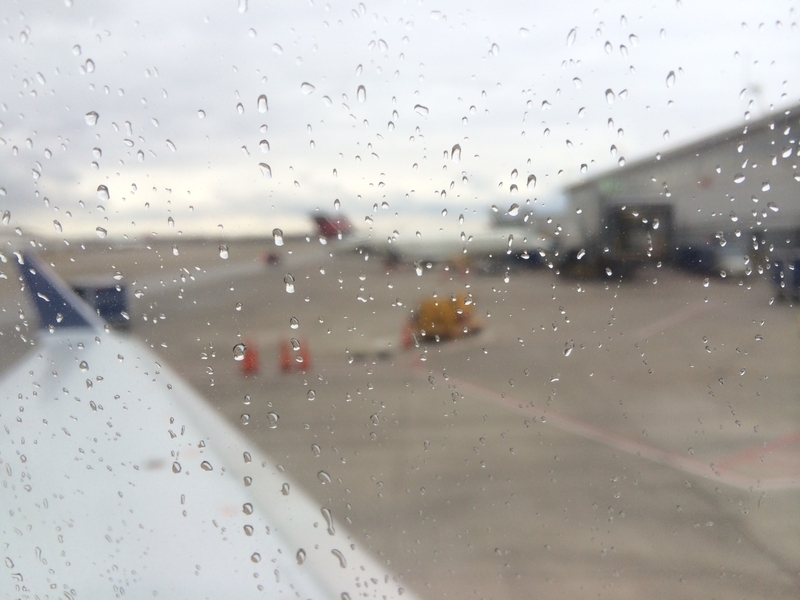 During a recent pushback in DTW, the rain started to fall. While it may be hard to draw inspiration from raindrops on a window, I feel this creates a unique environment where the drive to get there is sprinkled with potential. When it rains, you wash away stagnation and foster an opportunity for growth. I’ll take a rainy day of flying versus a sunny day stuck in the office anytime! Do you remember the moment you met your spouse? I can pinpoint my moment down to the minute. Most people question the validity of this story, but I can isolate the exact time and place when I knew Dana would be my wife. September 1, 2000, 8:03 a.m. CST. Tucked in the back offices of KVRR-TV in Fargo, North Dakota, I was in a cubicle that faced away from the walkway that led from the front office to the where our desks were. Dana was escorted back by our news director; I was on the computer preparing for a day of shoots in Moorhead. The news director brought Dana back to introduce her to everyone – she was a “college girl” who’s assignment was to shadow a reporter for the day (I was the photographer assigned to the project that day). The news director said as he came around the corner, “And this is our newsroom…oh, and this is Dave, one of our photographers…” I spun around in my chair and had one of those moments that are hard to describe…the room kept spinning, even though my chair wasn’t; the space between us got smaller, even though I hadn’t moved an inch; my heart rate accelerated and my head got light – this woman, dressed in a slim cut black business suit, her brown hair cut short just below her ears, parted to the right, smiled and extended her hand. “Hi, I’m Dana…” was all I heard, for after that, it was nothing but explosions and fireworks and thunder and party favors popping off in my head. We spent most of the day together, first documenting a Make-a-Wish story with a young boy who’s wish was to go on a shopping spree at Wal-Mart. Next, we picked up footage at a few other quick stops for other assignments. The day went fast, and I said very little to Dana – you know, because I was all business, couldn’t let emotions of the heart interfere with professional journalism. The day passed with me holed up in an edit bay cutting together several stories for the evening news. I didn’t get a chance to spend much time with Dana after our adventures around Fargo-Moorhead during the morning, but I quickly regretted not being more proactive in engaging with her during the day. She left without even saying goodbye. I chalked it up as a false alarm, but never forgot that initial spark. As fate would have it, my office phone rang 20 days later – September 21, 2000, 4:37 p.m. CST. “Hi, not sure if you remember me, but I’m that girl who shadowed you a few weeks back,” said the voice on the line. “Remember you? How could I forget you?” was all I could muster. From there, my awkwardness succeeded in inviting her over for a movie that very night, which led to an innocent, well-intended late-night invitation to lay down in my bed – rejected, of course. That nevertheless led to a second date of Subway turkey sandwiches at a park that lasted 4.5 hours of amazing conversation, which led to a night out – date three – where I asked for permission to lean in for a kiss, which was granted, in my car outside of her dorm before parting ways. She needed a few more dates to be convinced, but I was already gone. Why am I sharing this? Because I want everyone to understand just how important proactive engagement is when you meet someone who might be your soul mate. 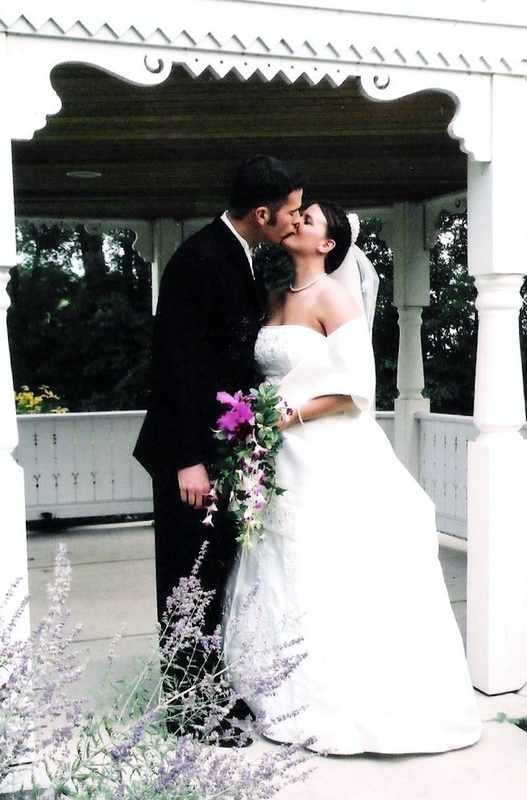 I nearly missed my moment, yet thank my lucky starts that despite my obvious blunder in not asking my future wife for her number, the fates shined on me 14 years ago today when my office phone rang at 4:37 p.m.
We had our first date on this day 14 years ago. It was awkward, awful and I embarrassed myself by inviting Dana to lay down with me after watching something called Lock, Stock and Two Smoking Barrels. It was late, I was tired – she was tired, too – but we both made the right decision. 51 weeks later, we got engaged. 53 weeks later – exactly two years to the day of that fateful movie night – she became my wife. 624 weeks to the day, here we are. Today, I celebrate the moment I met my wife. 12 years of marriage is just a number. We’ll continue to work to make our relationship stronger, improve our skills as parents, and offer our time, talent and treasures to our community. However, through all that, the memory of that moment I met my soul mate will live within me forever. Every man who celebrates an anniversary likely defaults to the “I’m the luckiest man in the world” line. I honestly don’t feel that way. I feel like I was granted a second chance very early on in our relationship and I’m going to spend the rest of my time on earth ensuring I don’t let the good times just simply walk away without doing something about it. I love my wife. Happy anniversary, darling. Subscribe for HDH Updates Sent Right to Your Inbox!